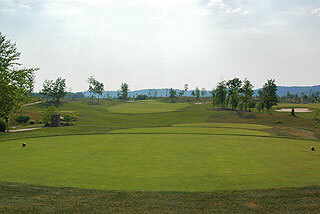 Belterra Golf Club in Florence, IN. 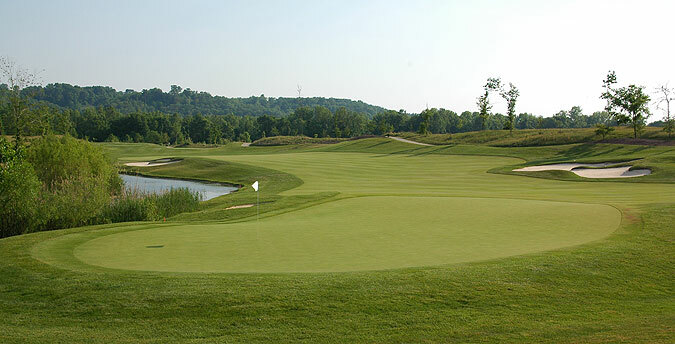 less than an hour from Cincinnati, is an exceptional 18 hole championship golf course with a beautiful resort and casino on property. 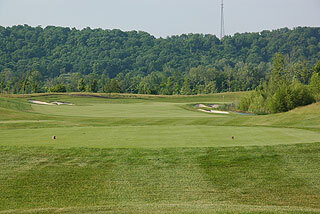 This is a highly recommended golf experience as the conditions of this course are superior with a beautiful design. From tee to green the conditions of this layout is immaculate! 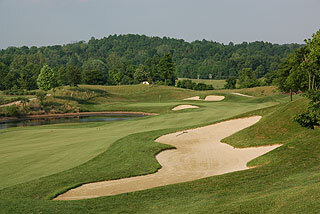 Hitting off the tees should be intimidating for most as fairway bunkers and water come into play on nearly every hole. 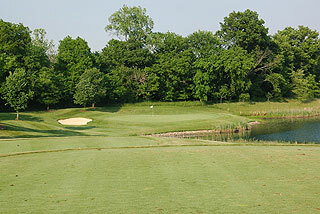 The fairways themselves provide large enough landing areas, however, there is little room for error if they are missed. Although there are few elevated greens, approaching them is also a chore with plenty of water and sand near them. There are permanent markings on the cart paths at 100, 150 and 200 yards, with distances measured to the middle of the green. Sprinkler heads measured to the center of the green are also visible on the fairways. Score cards feature a pin placement sheet with three possible locations, and green depth. All carts are equipped with Uplink GPS which provides accurate yardage and information on every hole. 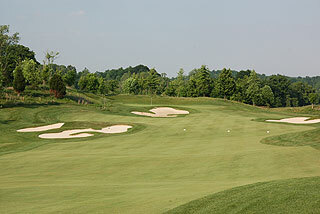 On property is a full practice facility including a spacious, targeted grass driving range, large putting green, and a beautiful short game area with a sand bunker. The clubhouse features a fully stocked pro shop, locker rooms with showers, and the Out of Bounds Bar & Grille with an outdoor deck where golfers can unwind with a drink and enjoy a meal after their round of golf. There is also a pool right outside the clubhouse, so there is no need for guests to go to their hotel room before cooling down. 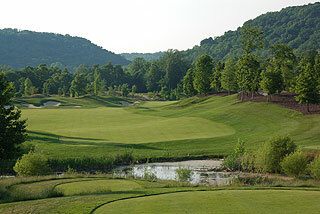 Four sets of tee boxes at Belterra play to the distances and slopes measuring 6925 yards/136 slope, 6465 yards/129 slope, 5923 yards/122 slope, from the front tees, 5102 yards with a slope of 117. 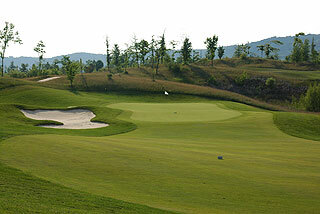 In total there are 50 beautifully sculpted soft sand bunkers and water comes into play on 12 of the 18 holes. 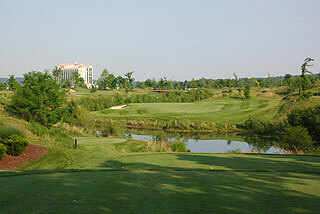 Stay and play packages are available at this beautiful golf resort, and for those in your group or family not looking to golf, there are stay and spa packages also. For more info, visit our detailed listing page for the course with a direct link to their website by clicking here.